Spring and summer are often thought of as the best times of the year to sell a property. In almost all housing markets they have the largest number of buyers looking for their new home after a long winter of waiting. With record January sales and a booming February that saw sales the highest in five years, the Peterborough and Kawartha area, for one, can expect an even more active market this spring. This season will also come with a lot of sellers, however, with house listing numbers likewise on the rise. With that in mind, here are some tips to help you stand out from the crowd when you put your property on the market this spring. Don’t overprice: Today’s buyers are more savvy and informed, and they either won’t look at over-priced properties or when they do, they’ll make a low-ball offer, below market value. Don’t underprice it, either: You may be tempted to price your home lower to attract more buyers with the hope of starting a bidding war, but this can be just as damaging as overpricing. Even if a bidding war ensues (which is not guaranteed), buyers often will not want to bid a certain percentage over the listing price. 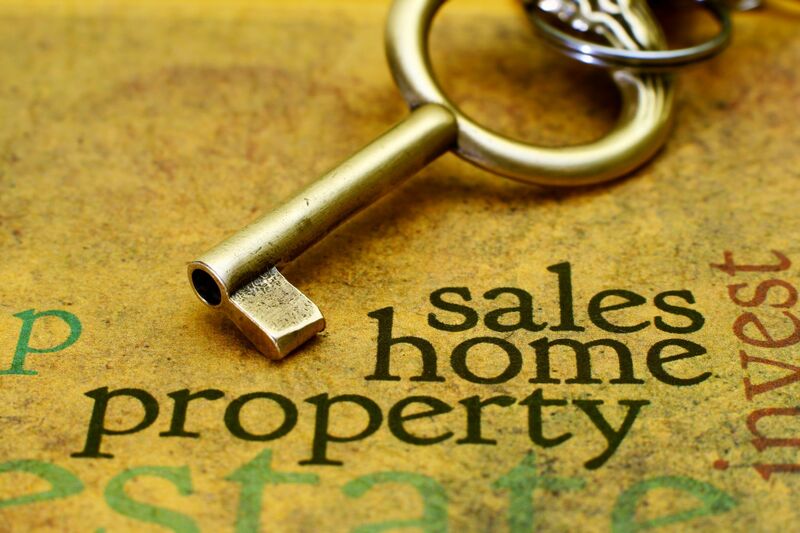 A strategic marketing plan will place your house at the head of the pack for selling. It’s always a good idea to get help from a Realtor with marketing your home, as they can ensure your home is listed online everywhere it matters, with photos, catchy descriptions, and even videos. Spare no expense in marketing your home, including on marketing materials like color flyers, and brochures with financing information that can put a buyer at ease in their ability to afford your home. Use color ads in a newspaper rather than black and white if possible, to get the best advantage you can in standing out. Potential buyers will be drawn to a spotless home. If you have rough looking hardwood floors, refinish them. Get your ceramic and linoleum shining. If grout between tiles is dull and dirty, bleach it. Clean the carpets – with a shampooer if necessary. Clean your blinds, curtains and drapes. Wash and press your window coverings, soak and clean your blinds in a soapy bath. While you’re at it, leave the windows open to let the spring breeze in! Even the outdoor surfaces of your home should be cleaned. Pressure washing the driveway, front walk, siding and patio/decks is a good idea. Be sure to clean the front door, and give it a fresh coat of paint if needed. Get a new welcome mat. Before having your home inspected, make sure everything is in good condition. Consider hiring an inspector before your house goes on the market to get their advice in what you can do to get the most bang for your buck. Bring in an electrician to make sure the electrical panel is updated, and if needed get a plumber in to fix any plumbing issues, however small. If your shingles are looking shabby, get some of them replaced, or even consider completely re-doing the roof. Make landscaping a priority. The outside of your house is the first thing people will see, so make sure it gives a good first impression. Simple things will help, like raking the yard and driveway, and trimming and pruning bushes and trees so buyers can see the house, and more sun makes it through the windows. Edge and weed the gardens, and plant some flowers. Put a nice mulch on about 3 inches deep to prevent weeds coming up again, to reduce watering, and to give the garden a bit of color. Diagonally mowed lawns make your yard look bigger. Plant daffodils and tulips, and arrange containers of flowers near the entrance. Staging is what you do after you’ve cleaned, painted and repaired. It’s dressing up your house in its Sunday best. Professional stagers are skilled artists, so you might consider hiring one, but you can do a lot by yourself too. Brighten things up using things like mirrors, plants, matching lamp sets, throw rugs, pillows, and towels carefully. Put out bowls of fruit on the kitchen counter, and colorful magazines on the end tables. Use towels, throws, and pillows in light colors. Get several colorful helium balloons, which you can get cheap at dollar stores, and tie them to your open house signs. Investing some time and energy to prepare your property and presenting it in the most attractive way possible will improve its value and ensure it sells more quickly, and for a higher price. Simple changes will make a huge difference, and your efforts will be rewarded. During this busy spring selling season, you need every advantage you can get to have your house noticed by buyers and to close the deal so you can move on to the next stage of your life. Contact me for a more thorough checklist and information package on how to sell your home fast at the best possible price. Let’s talk to get the selling process started. Contact Us.